Cut the banana crosswise into 12 (1/2-inch-thick) rounds. Use a mini ice cream scoop the same diameter as the banana slices or a tablespoon to press a scoop of ice cream on top of each slice. 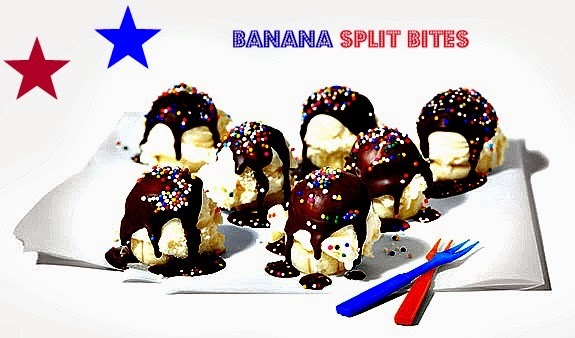 Squirt the chocolate shell topping over each ice cream scoop, then immediately top with the sprinkles. Spear each bon bon with a toothpick and serve immediately.